List of local adopters by state. If you would like to adopt through the HCA, please add a new post to your state's topic. If you are looking to adopt hermit crabs, please make a small “want ad” here! You must include your general location and how far you are willing to travel. If you are willing to pay for shipping, that would be a good thing to know as well. You should write about your experience with hermit crabs, your enclosure, and anything else you think an owner looking to rehome should know so that they choose you as their crabs’ new home. Remember to list how you would like owners and the Adoption Coordinator to contact you if PMs are not your first choice. Thank you! Last edited by HCA Adoptions on Fri Jun 02, 2017 4:04 am, edited 3 times in total. Please PM the HCA Adoptions account if you are interested in a listed adoption or have questions about our adoption program. Travel": Willing to travel 30 - 45 miles from home. Tank: We have two (2) - 55 gallon tanks, two (2) 40 gallon breeder tanks, one (1) 125 gallon work in progress hermit vivarium, and a 10 gal for isolation with room for growth. Clan: We currently have 25 hermies at this time, 18 PP and 7 Eccles separated into tanks by size. We have one jumbo, some large, but mostly medium to small size hermies. Looking to add some exotics to our colony, but always willing to adopt a hermie in need! We feed our crabs fresh fruit/veggies, worm husks, seafood mix and health mix we pick up from our local hermit crab store and online at the Hermit Crab Patch as well as organic crab mixes from fellow hermit enthusiasts . Last edited by Crabengers2015 on Sun Jul 15, 2018 10:27 am, edited 1 time in total. Hello! My name is Missy and I live in the tip top, most northern part of WV, in New Cumberland near Mountaineer Race Track. I can be in OH or PA in 5 min. lol. I started "crabbing" nearly 12 yrs ago and fell in love with my my Crabby babies! I currently have a 29 gal full enclosure with 5 smaller crabs and 2 med. who enjoy fresh and dried fruits, vegetables and a variety of other organic treats daily. Although recently I've been hearing crabs no longer "need" salt water, mine will always have it so they have a choice. They also enjoy 6-7 of substrate and plenty of climbing activities. Location: Near PA/DE Border. 40 min from Baltimore. I am from Maryland, Close to the DE/PA border and about 40 min from Baltimore. I am willing to travel anywhere within Maryland and most parts of PA and DE. Any type of hermit crab is welcomed! 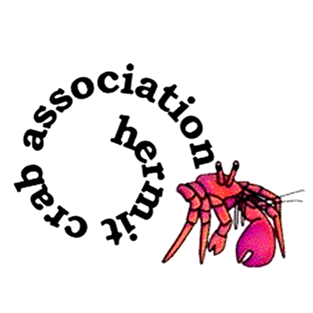 I have primary experience with PP's and E's and have just started to work with strawberries, but would love to continue to grow my hermit crab family with other species! I have a comprehensive book for the various species and can provide the adequate temperatures, housing, and food for them since not all hermies are alike. I have been a proud hermit cab owner for the past seven years, primarily dealing with Purple Pinchers and Ecuadorians. I have two purple pinchers, five Ecuadorians, and just recently got four strawberries. I have four tank setups. All setups have under tank heaters, UV/UB lighting, humidifiers, minimum 8 inches of substrate (I use a mix of baked play sand, coconut fiber, and sphagnum moss), and a mixture of live and fake plants. The 3 larger tanks all have removable climbing backgrounds that I build myself. I have fiber glass cut and attached using magnets for quick cleaning and to change between the tanks every now and then to keep things exciting! All backgrounds have cork bark, cholla wood, drift wood, coconut fiber mixed with excavator clay, and plastic flower pots for hiding spots and for live plants. For my set ups, I have approximately a 70 gallon, a 55 gallon, a 40 gallon, and a 20 gallon. I also have two isolation tanks that are 10 gallons each. I split the different types of hermit crabs into the tanks so the species do not mix, this way I can better accommodate their needs and give them their preferred choices in food/shells/climbing backgrounds. My crabitats also have a variety of shells with a wide range of openings for the hermies to check out and change whenever they wish. Some of the shells include jaded turbos, polished gold turbos, green turbos, tapestries, tulips, conch, Babylon areola, and nerites. The shells are cleaned once a month with the same saltwater solution for their dishes to keep them clean and to give me a chance to rotate the shells between the tanks. I love to spoil my hermies with fresh food, dried food that I mix myself, and live plants that are safe and approved (chia sprouts, dandelions, and air plants primarily). I often make scrambled eggs with the shells included, boiled chicken, and fresh fish from the market (I trim the fish that I am going to eat for dinner and use the trimmings for the hermit crabs). I do not use store bought foods from pet stores because I like to have variety in their diets and do not always trust what is advertised. I also have cuttlebone in every tank and provide sources of carotene for the hermies. I love to give treats as well including honey, fruits, non-salted sardines, and coconuts that has been halved. If you think I might be a good match, or would like to know more contact me by PM or ask for my email! If I do not respond within two days, just shoot me another PM, sometimes the notifications get buried and I do not always see that I have messages on this forum! Last edited by jonemor13 on Mon Jul 02, 2018 8:32 am, edited 2 times in total. Size of Tanks, Number of Crabs, and Species:55 gallon with 20 topper, 29 with 29 topper. 5 crabs in the 55, 3 small in the 29. I Would Like to Be Contacted By - Email - or - PM - . Either is fine. Last edited by Brandie1109 on Mon Jan 28, 2019 12:49 pm, edited 1 time in total. I currently have one PP (my second one recently died) and I want a companion for her. She is small to medium sized. I have a 20 gallon tank with the works - 2 pools (freshwater and saltwater), deep substrate, several hides, moss pit, climbing bridge. I feed lots of fresh healthy food and supplement with food from The Hermit Crab Patch. My heat and humidity levels are great. I have tank heaters that stick to the outer walls and bubblers in the pool. Lots of great shells to choose from as well. Ok, so I also had to post in the other section since I’m right on the border with TN, so I hope it’s ok that I copied the previous post on the other thread to reshare! Thanks for looking, and considering us for your friend’s forever home. Overmountain1 wrote: Hi! I am Sara, and my two boys are 10 & 13, and they help care for our crabitat and crabbies. They’re very hands off and responsible with the crabs, they just love watching their antics and seeing what they’re up to at any given moment. Perhaps a bit of that will wear off over time but who knows? Doesn’t matter bc I’m the primary caregiver and I’m ok with that! Size of Tanks, Number of Crabs, and Species: we currently have one 10 gallon, with just 2 teeny crabs, with eco earth and sand about 5” deep, a big climbing and hiding log, Moss pit, some greenery, fresh foods and freeze dried foods from reputable and recommended (by HCA members) dealers, 2 kinds of water, although I’m upgrading the pools tomorrow! How Long Have You Been Crabbing? Less than a year, although I had crabs for several years as a young kiddo. We ended up giving them away then, but it was a positive sort of thing. This time, I’m all in, for 20, 30, or more years! And the kids know they may be theirs eventually after that too. What You Are Able to Adopt? : 1-3 crabbies, no larger than ‘small’ size, just depends on what you’ve got and what we can work out. We will be upgrading to a larger tank before too long either way, so if it did get crowded it wouldn’t last long. I hope that answers any questions you may need to know. I’m available and looking actively- thanks! !